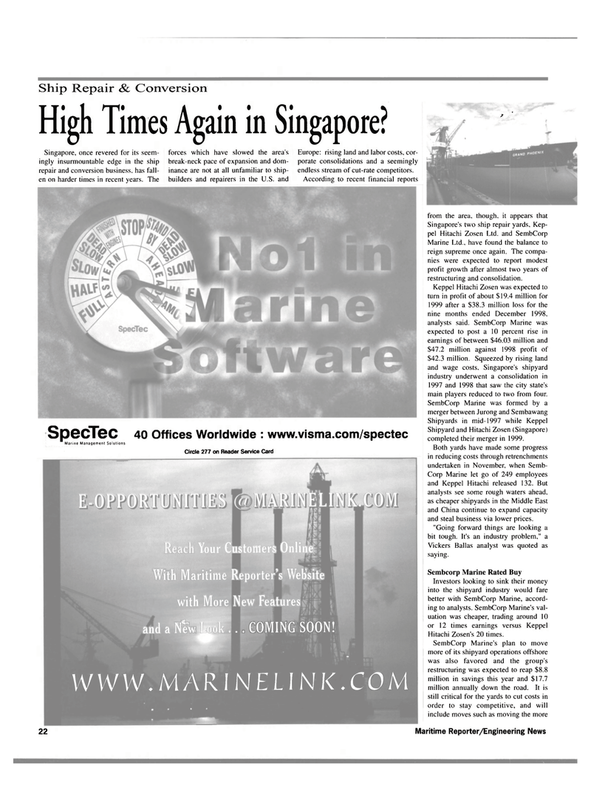 Marine Ltd., have found the balance to reign supreme once again. The compa- nies were expected to report modest profit growth after almost two years of restructuring and consolidation. Shipyard and Hitachi Zosen (Singapore) completed their merger in 1999. Vickers Ballas analyst was quoted as saying. With Maritime Reporter's Website mmmmm IBB with More New Features 1 ft T I and a New ., COMING SOON!